This drivel in the US government’s founding document is a centuries-old racist myth that he hear endlessly: “They don’t value life. But we do.” It is a talking point that helps to dehumanize the victims of empire. 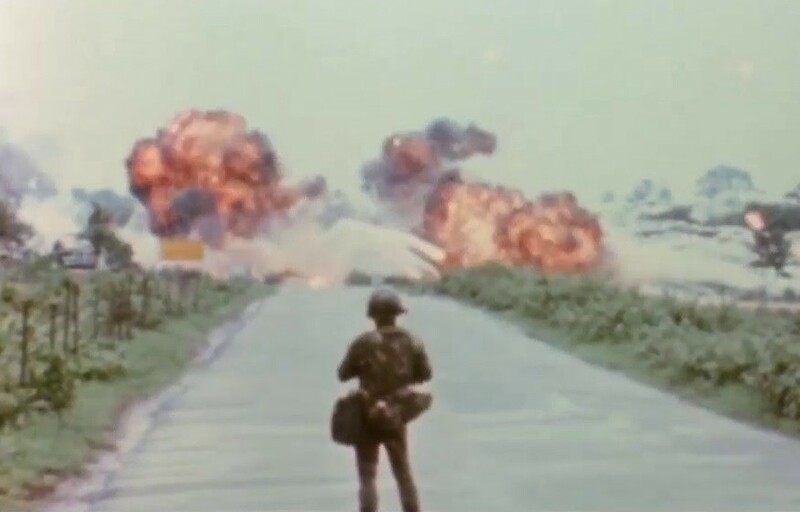 One of the most infamous examples of this obscene projection is a scene in the 1974 documentary Hearts and Minds, featuring General William Westmoreland, who led US forces as they slaughtered civilians in Vietnam. Filmmaker Peter Davis juxtaposed these comments with the US military dropping napalm on civilians, with Vietnamese children and mothers sobbing as they mourn the deaths of their family. Up to 3.8 million Vietnamese died in the 20-year US war, which verged on genocidal. The scene in Hearts and Minds is followed up with an interview in which a US soldier admits that it was in fact they who did not value life. Today, Palestinians are frequently smeared with this same talking point. Zionists claim Palestinians “do not value the lives of their people” — as they support an apartheid regime that kills and militarily occupies Palestinians. Imperialists maintain that Muslims as a whole “love death” — whereas only the “enlightened” Westerners bombing Muslims truly value life. Racism is how empire tries to justify itself. For centuries the US has insisted its enemies don’t value life — while it kills their children. Likewise, the hallowed US Founding Fathers claimed “Indian savages” carried out “undistinguished destruction of all ages” as they were the ones committing genocide against Indigenous peoples in this country. A staggering 100 million Natives died during European colonization. This is the projection of empire: blame the victims of the very inhumanity you yourself exude. Originally published at bennorton.com on July 6, 2017.